EChO Resale Shop offers furniture pick-up and delivery services for furniture donated and purchased at our resale store! We appreciate your furniture donations that make EChO's award-winning Home Furnishings and Resale Store stand out in our community. Donations are accepted at EChO Resale Monday - Saturday from 10:00 AM to 4:00 PM. Specific requirements, furniture pick-up and delivery areas, along with and associated fees are outlined in the Furniture Pick-up Guidelines below. We thank you very much for you generosity! These EChO Furniture Pick-up Guidelines help us maximize the collection of saleable furniture while reducing costs associated with furniture disposal. The age of the furniture does not matter, but it does need to be in very good to like new condition, no stains, tears, cat scratches or damage. EChO's staff will pick-up and deliver furniture at ground level. We ask that your furniture be ready to pick up from your garage or somewhere that has reasonable access. We are unable to pick-up furniture that is left outside or that our staff determines cannot be sold due to disposal fees. Any exception must be approved by a manager. EChO charges $35 for furniture deliveries within our surrounding mountain communities including Evergreen, Genesee, Kittredge, Parmalee Gulch, Indian Hills, Tiny Town, Marshdale, Aspen Park, Conifer, and Pine. Arrangements will be made at time of purchase. Fees for delivery to areas outside of our delivery area will be determined on an individual basis. EChO has a 16’ truck and we will ask if a location has difficult access conditions such as mud, snow or a cramped driveway. Please advise us of this so we can arrange to bring a smaller pick-up truck. 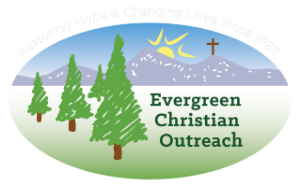 Contact EChO’s Furniture department with questions or to make a pick-up appointment at 303-679-8280 or by email at furniture@evergreenchristianoutreach.org . Thank you for donating your furniture to EChO Home Furnishing and Resale Store. Proceeds to benefit the programs of Evergreen Christian Outreach (EChO).